In the past three years, the US Defense Advanced Research Projects Agency (DARPA) has invested $96.6m in the DARPA Robotics Challenge (DRC) – a hugely ambitious program to develop robots capable of assisting humans in responding to natural and man-made disasters. 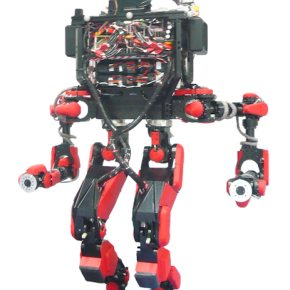 According to DARPA’s research with first-response experts, the key capability requirements point to a humanoid solution – the ability to go through doors, climb steep stairs, walk on rough terrain and to use the tools on hand – are all only really achievable by a humanoid robot. 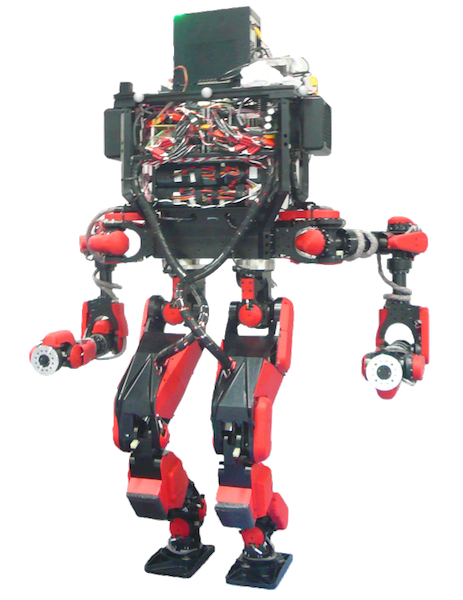 So most of the robots have bipedal designs and are humanoid in appearance, with a couple of exceptions: Tartan Rescue‘s Chimp (CMU Highly Intelligent Mobile Platform), the long armed robot that finished third in the 2013 Trials, and NASA’s RoboSimian, which has four limbs for increased stability. There’s also Team NimbRo Rescue, which has a anthropomorphic upper body on a flexible hybrid mobile base. Human-robot interfaces must be intuitive and simplicity of use is also a primary reason why so many of the teams use bipedal, human-like forms, including DARPA’s Atlas robot model. This will be the final challenge in a long process that started with a virtual event in 2013 and a physical trial run later that year. Through these two preliminary rounds of competition, DARPA and the DRC teams have redefined what is possible in robot power efficiency, supervised autonomy, physical adaptability and human-machine control interfaces. The final challenge takes place in a simulated disaster zone. It will involve two attempts at eight tasks; seven of these will be derived from the challenges of the last round, and one surprise task will be introduced at the competition. The robots will start in a vehicle, drive to a simulated disaster building, and then they’ll have to open doors, walk on rubble, and use tools. Finally they’ll have to climb a flight of stairs. The fastest team with the same amount of points for completing tasks will win. The main issues teams will face are communications with their robot and battery life: “Even the best batteries are still roughly ten times less energy-dense than the kinds of fuels we all use to get around,” said Pratt. What’s happened since the last phase? The biggest change is, however, the withdrawal of Team SCHAFT, head-and-shoulders winners of the last phase of the challenge. SCHAFT, developed by a Japanese start-up, was acquired by Google in December. Their withdrawal last June underlines both Google’s claims that it has no interest in seeking funding from the military, and the US government’s need to not be seen as funding a major corporation. The new emphasis on the communications aspect of the challenge means DARPA will be purposefully sabotaging the link between teams and their robots. During the Fukushima nuclear disaster, it was communication issues caused by heavy radiation shielding and power outages that proved most problematic for the robots tasked with entering the site. The DRC communication outages will last up to one minute to test how well these robots deal with similar situations. The teams are provided with situation awareness to help them visualise what the robots are up to. A change in the rules forces teams to rely less upon the remote control of individual joints and motions and instead implement task-based interfaces that incorporate advanced perception, minimal human guidance, and complex autonomous behaviour. 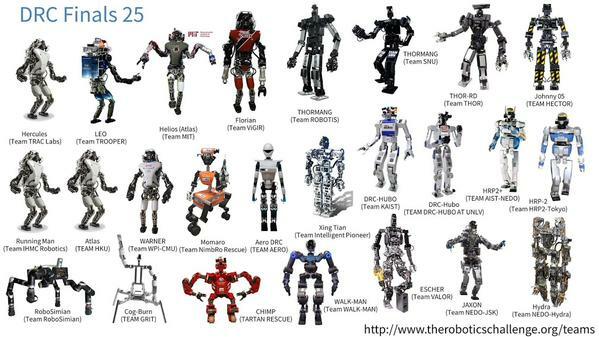 DARPA has also decided that the robots will operate completely untethered. There won’t be cables to provide power and data, or keep the robots upright. In view of this, DARPA has swapped the ladders used in the last challenge for stairs, making it a little easier. 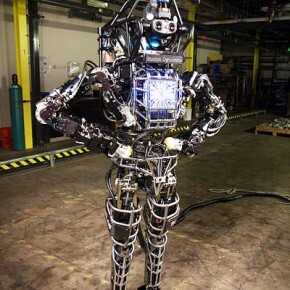 The ATLAS robot, used by the seven teams that are concentrating on software instead of hardware, has had an upgrade.The platform is manufactured by Boston Dynamics – another company recently acquired by Google. Among the improvements to ATLAS is increased energy efficiency, with some teams now able to achieve several hours of functionality without the need for a recharge. There will be 25 teams competing in total, half of them from the United States. Japan, Korea and Germany are well represented with a total of 10 teams between them. Out of the 25, a total of 14 new teams from seven different countries have been added, qualifying to participate in the DRC Finals. And 11 teams previously qualified during the DRC Trials. 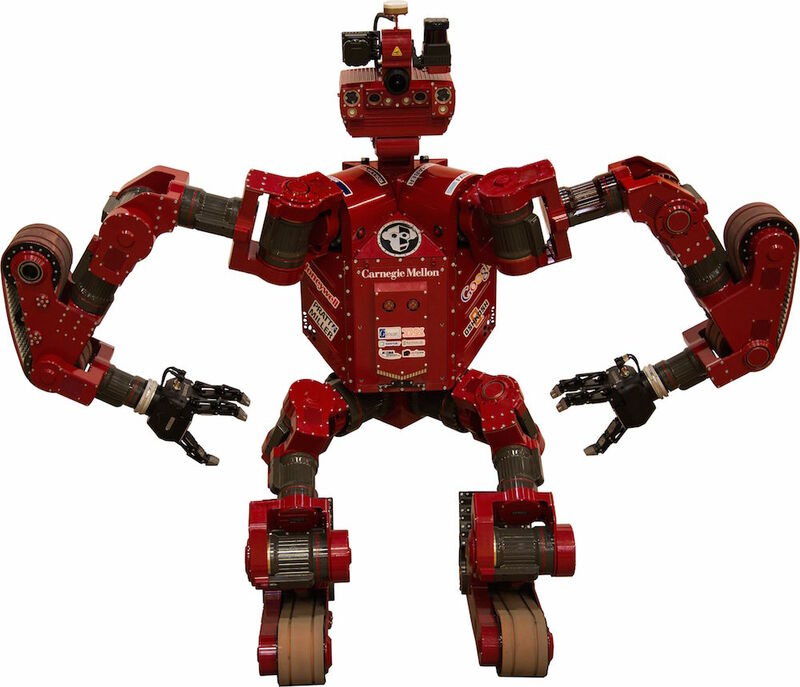 Seven teams are using Atlas and the other teams have developed their own robots, which come in a variety of sizes and shapes. Teams tipped for top spots include: KAIST, from South Korea and US challenger, Chimp. The robots will compete simultaneously across four courses during hour-long runs throughout the two days. At the DRC Trials held last December, the robots often moved excruciatingly slowly and depended upon the careful control of remote human operators. At the June final, the robots will be “at least four times faster than in the trials, and perhaps even faster,” says Pratt. However, in the December trials, organisers thought it unlikely that the winning team could score more than 15 points, but four teams exceeded that number and SCHAFT won a total of 27. So expect the unexpected! The planned interruptions in communications will mean that, “a substantial fraction of the teams will have difficulties here.” Although, whenever the robots do have a network connection, they’ll have significantly more computing resources than were available in the last round. The teams have had to move a lot of the low-level mobility and manipulation skills from the human operators to the machines; the robots will need enough autonomy and intelligence to do tasks in a fraction of a minute. “You should expect to see a lot of robots falling down, and a lot failures of different sorts,” said Pratt. This is largely due to the planned communications failures and the lack of hoists or safety ropes. 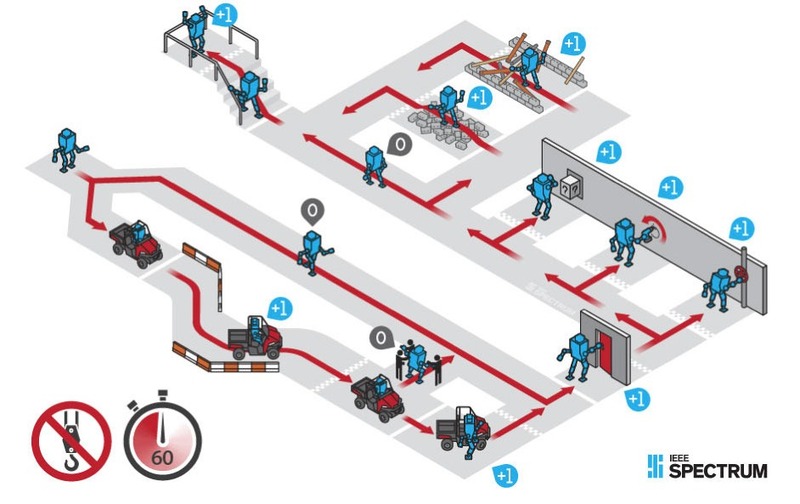 If a team becomes stuck and the robot can’t get up, they can elect to take a 10-minute penalty during which a simulation is made of what it would be like to send in a second robot in to continue the mission after the first one has got stuck. “The simulation of that will be done by the team retrieving the first robot, bringing it back to the starting line, and, if it’s still in working condition, starting it over with a 10-minute penalty,” said Pratt. It seems the DRC finalists are currently still at task level rather than mission level. Want to go, or just watch? The event is free and open to the public, who will watch from the Fairplex grandstands in Pomona, California on 5 and 6 June; several thousand people are expected to attend. 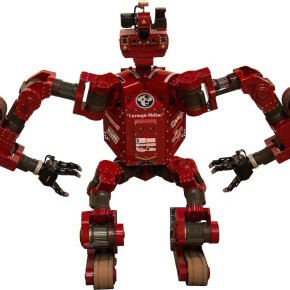 To complement the competition, an on-site robotics exhibition and technology demonstrations from around 70 different robotics and disaster response groups is planned. All kinds of robotics hardware and software companies will be exhibiting. To attend the event, you only need to register: http://www.theroboticschallenge.org/media. The whole Finals event will be webcast in realtime HD on YouTube. The best time to watch will be towards the end of each competition day, as that’s when the finest of the machines will be directly competing with each other, each on their own course. The closing ceremony on 6 June will be be followed by a workshop on 7 June. The three winning teams will present the strategies and techniques that they used to gain the top spots. This won’t be open to the public, but it will be webcast. There will also be talks about the international efforts in the field, other competitions that are coming up in the future, the different investments that are being made in various countries. Experts will also discuss the future of the industry. Part of the day will be given over to “Robots 4us” – a DARPA competition for high school students who were given the opportunity to produce a winning video on the role of robots in society in the years ahead. DARPA sees the DRC as an opportunity to lay the technological foundations for more autonomous and capable robots in the commercial market. In fact, the success of the competition lies in part in the commercial investments in robotics that it inspires. To this end, DARPA and some of the teams plan to publish their experiences academically. And Atlas? What of him? The simple answer is that the DRC organisers have not yet reached a decision about Atlas’ future. In short, the stellar progress we’ve seen in driverless cars in the last decade owes everything to DARPA’s 2004 Autonomous Vehicle Grand Challenge. 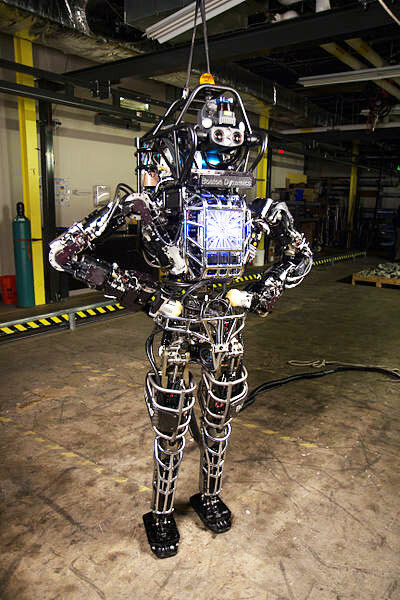 The sale of the DRC Trials favourite SCHAFT and Atlas software manufacturers Boston Dynamics to Google would suggest history repeating itself. The DRC has also helped in the development of tools; the organisers funded the development of the Open Source Robotics Foundation (OSRF) simulator, which was first used in the virtual challenge.